admission subject to availability – for booking email to contact@cittadellascienza.it. 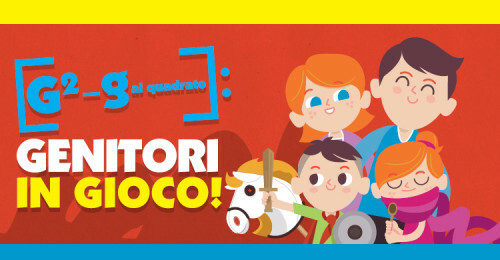 Sunday, February 14th at Città della Scienza in Naples an extraordinary show and a workshop for children and parents. “Parents and the Game!” Is the initiative promoted by Kinder Sorpresa in collaboration with Moige, Italian Parents Movement, to promote the importance of the game as a key moment in the relation between parents and children, rediscovering the value of time spent together. Three appointments in February, in Rome, Naples and Milan, will host the event. An entertainment cycle followed by workshops with free access for families, designed to educate and entertain at the same time. The show with puppets will stage two times: at 10 and at 12. For each performance will follow the educational workshop consists of 10 adults and 10 children. Admission included in the ticket of the museum , subject to availability. How to apply: send an email to contact@cittadellascienza.it. with the name of the parent and the child involved, and a reference phone number, by Friday, February 12th, at 12. More information is available on the Web site of Kinder Sorpresa and Moige.